The first product from Toronto-based startup Bionym could mean that passwords and fingerprint scanners become a thing of the past. The Nymi is a wearable wristband that reads your heart's electrical activity and use its unique signature to authenticate you are who you say you are. Unlike other biometric authentication methods – like the much rumoured fingerprint scanner in the upcoming iPhone 5S – the Nymi doesn't require the user to authenticate every time they want to unlock something. The system sustains authentication for as long as it can detect your heart's unique electrical signal and is in range of the authenticated device. According to Bionym, the Nymi is a three-factor security system. This is because several factors have to be authenticated before it will unlock a device. Users only need to authenticate once a day, or after they remove and put back on their wristband. To authenticate, users need to put the wristband on and then touch the top sensor with one hand. Another sensor on the underside connects with their wrist, completing the electrical loop. Doing so allows the device to read the user's ECG, sending the data to a corresponding app in order to unlock the device. According to Bionym, the device can add in other factors such as proximity and gestures. One example given is using the Nymi's inbuilt gyroscope and a specific hard gesture to unlock a car. Another sees the user only being able to authenticate a payment if they are within a certain distance of a payment terminal. 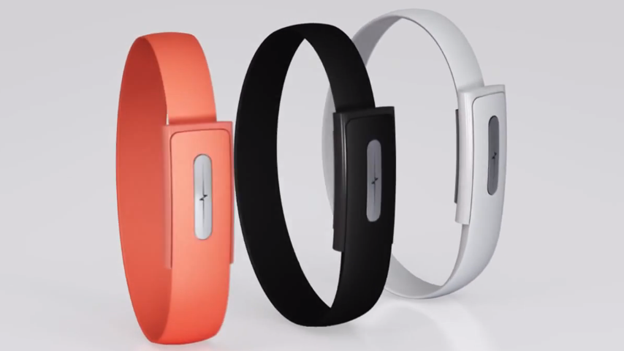 Those features also mean the device could be used for health tracking. It could also be used as a notification tool to inform the user of when a new email or message has been received. According to Bionym, the battery should last for around a week. The Nymi is expected to be available from the beginning of 2014. No price has been mentioned.